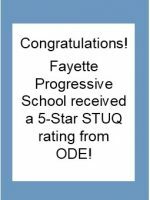 Located at The Starting Gate, Fayette Progressive School has been a leader in education for children of Fayette County. Partnering with both school districts, the board’s preschool serves children on individual education plans with varying disabilities and delays, at no cost to the families. A tuition-based preschool program is also offered for typical peers. These pals learn and grow together, proving what the research shows: a huge benefit on both sides. When children play with other children in a structured, creative environment, all learning is enhanced. 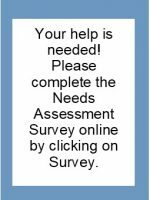 The staff are licensed and certified with the Ohio Department of Education and follow a curriculum that promotes growth and kindergarten readiness. For over 30 years now, the Fayette County Board of DD continues its commitment to children in these pivotal years of brain and social development. Preschool has become invaluable to launch a child onto a successful academic path.